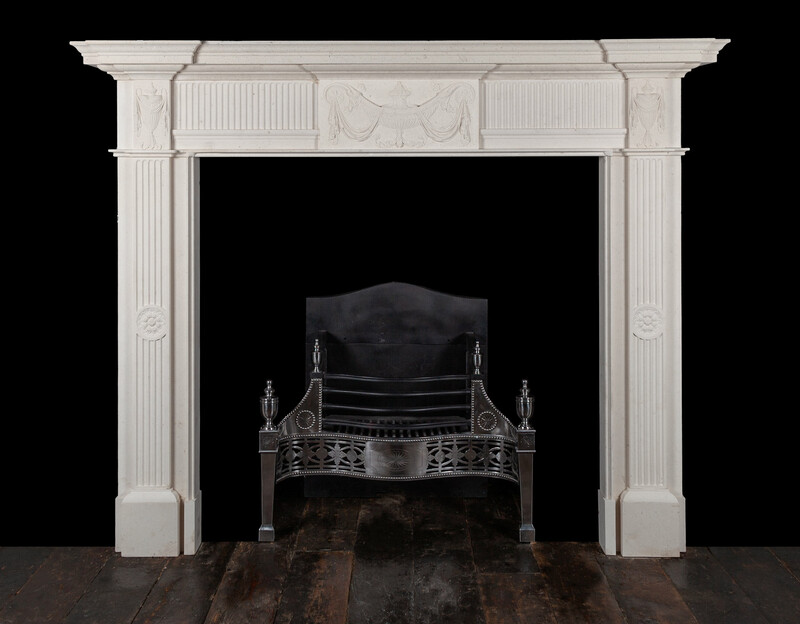 This fireplace was copied from a Georgian original made by George Hill and Author Darley of Mercer Street, Dublin. 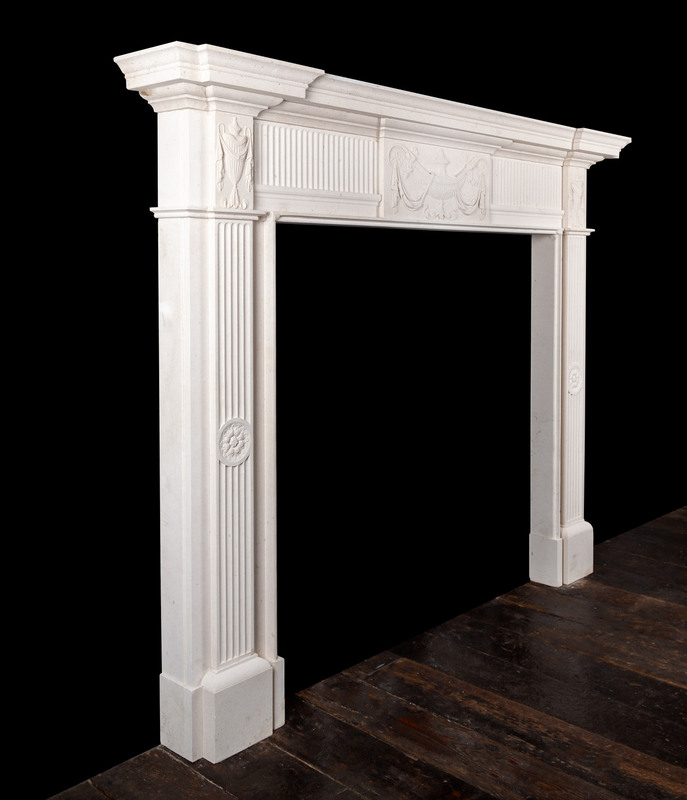 It was installed in a house on Merrion Square, Dublin in 1780, and is a great example of the high quality neo-classical fireplaces, that can be found in the finest of 18th century Irish houses. 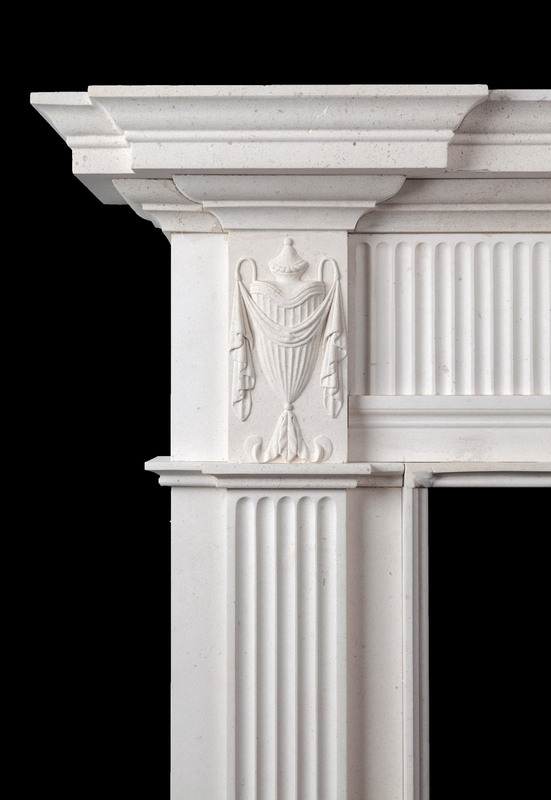 This is a very faithful to the original, hand-carved reproduction made by Ryan & Smith.